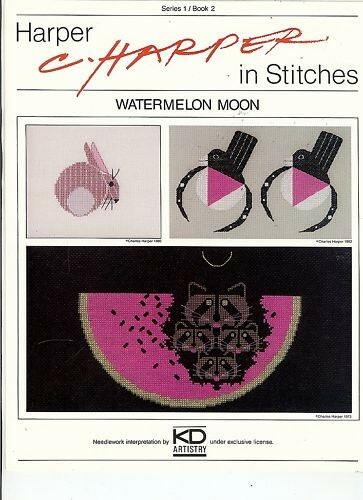 KD Artistry Watermelon Moon Harper in Stitches cross stitch leaflet. Rose-breasted Grosbeaks adapted from the Michigan Audubon Society Poster, Bunny adapted from the Space for All Species Poster, Watermelon Moon raccoons in watermelon slice. This listing is for the leaflet only.